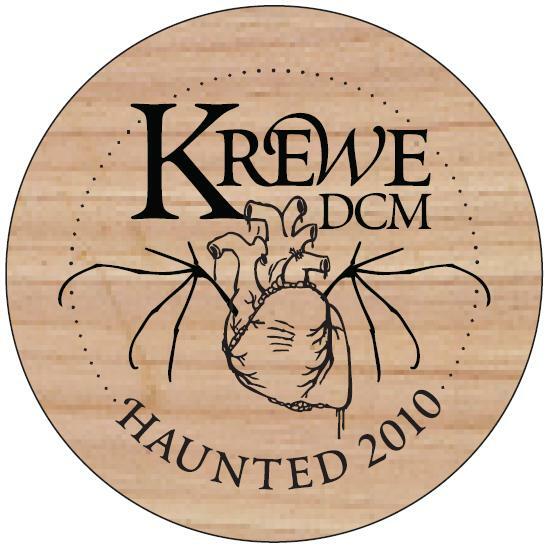 For their Haunted 2010 Halloween Parade, KreweDCM asked Austin to imagine the past–the literal ghost that hold us all back. Austin was asked to envision the ghosts of regrets…secrets…the things that terrify. Austin was asked to think of those people who have come before…family and friends gone, those figurative specters of times both bad and good. Haunted 2010 was a tribute to and celebration of the past in second-line parade style. Lead by the Dead Music Capital Band and three giant ghosts, KreweDCM members danced and sang their way up Congress Avenue and down 6th Street as a collection of ghosts, ghouls, specters, skeletons, and phantoms.